After Dark and The La Esperanza Taco Truck!!! Who wants to see the best band of Amador County??? We do! Yes Please! 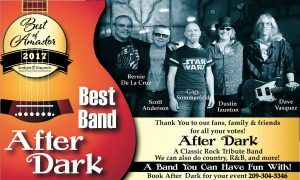 After Dark will be performing on our indoor stage from 6-9pm. They always bring a crowd, so come early and stay late! 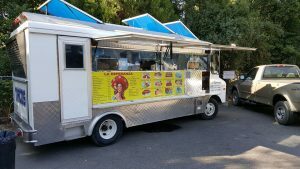 Dinner will be the La Esperanza Taco Truck. You love their delicious tacos and burritos!